Pre heat your oven to its highest setting. Take a baking tray and slice the red peppers in half lengthways. Lay the peppers cut side down on the tray. Place in the oven for about 15 minutes, until the peppers start to blacken. This could take longer as cooking time will depend on your oven. As soon as the peppers are done take them out and using a set of tongs, place them in a large mixing bowl. 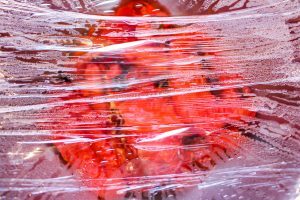 Immediately cover the mixing bowl tightly with cling film to stop steam from escaping. 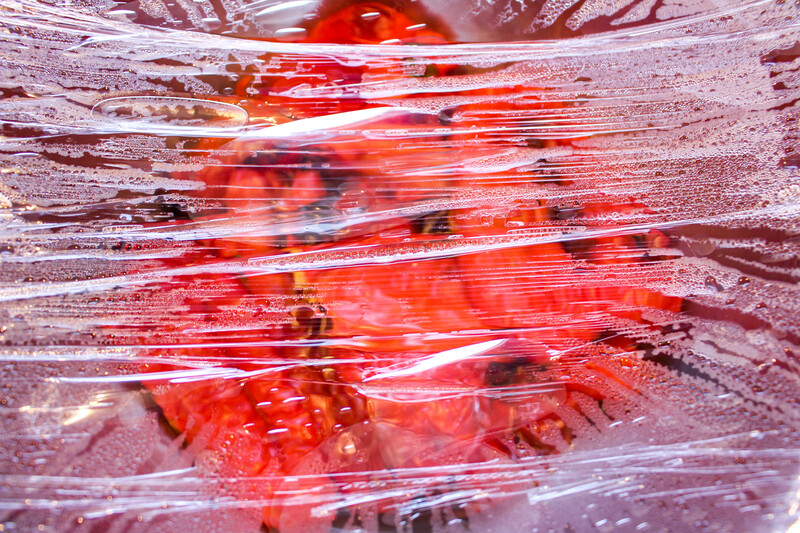 Letting the peppers sweat in this way will help their skins peel off easier later on. Set aside for a good 40 mins-1hour to cool. 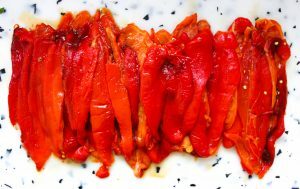 Peel the skins off peppers, you can run them under a cold tap if it helps. Discard any seeds as you go along. 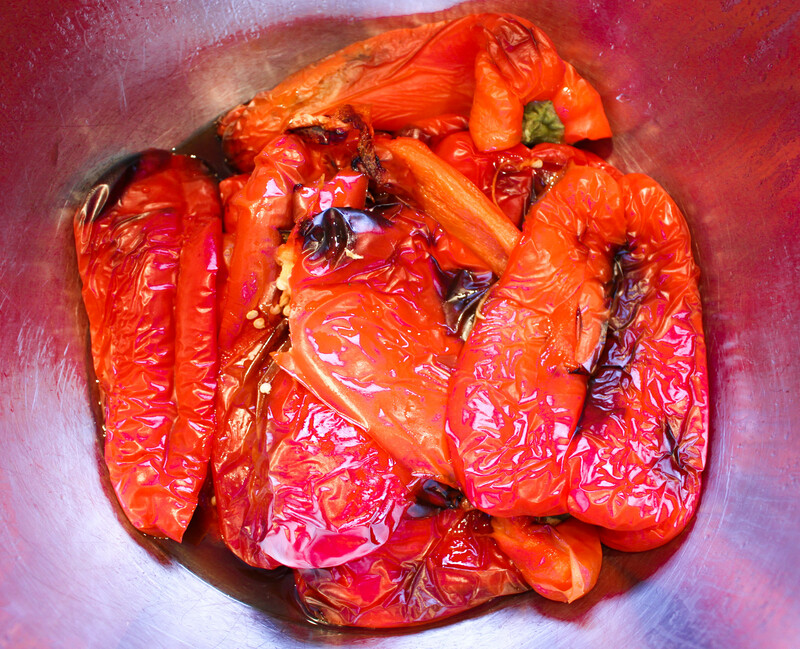 Set your peeled, roasted peppers aside then begin cooking the soup. Take a medium sized pan and gently cook the onion in some olive oil with the bay leaf and a pinch of salt until the onion becomes translucent. Add the garlic and the tomato paste and continuously stir to cook everything out for another 30 seconds or so. Add the passata, 250ml cold water, the vegetable stock, a pinch of oregano and some ground pepper. Simmer on a medium heat for 20 minutes then add the cooked peppers. Cook for another 10 minutes then blitz with a stick blender. 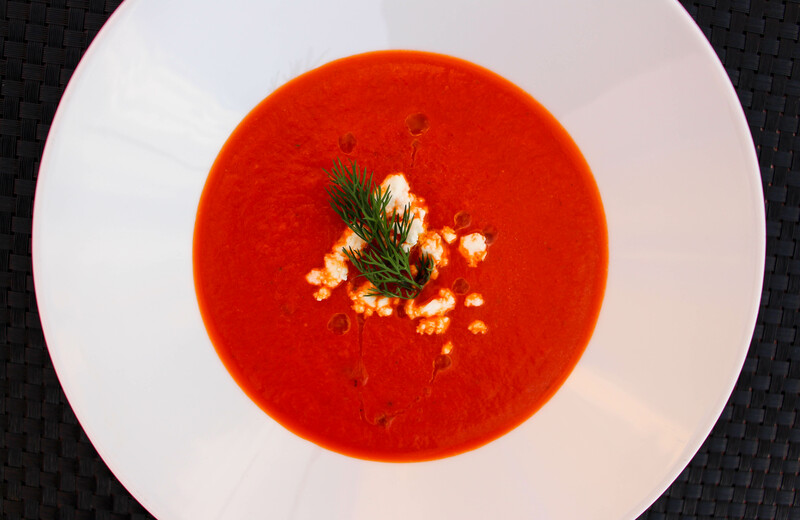 Check the consistency of your soup, it may need a little more water or you may need to reduce it further. 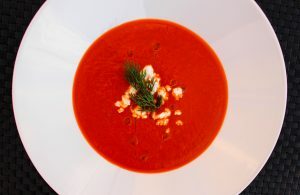 Now check the seasoning, I add a tablespoon of red wine vinegar and a teaspoon and a half of white sugar normally, but last time I made this soup I added two teaspoons of sugar. The key is to check the salt and pepper, add a dash of vinegar, then a teaspoon of sugar, stir well and then continue adjusting in this way until the soup has a balanced flavour. 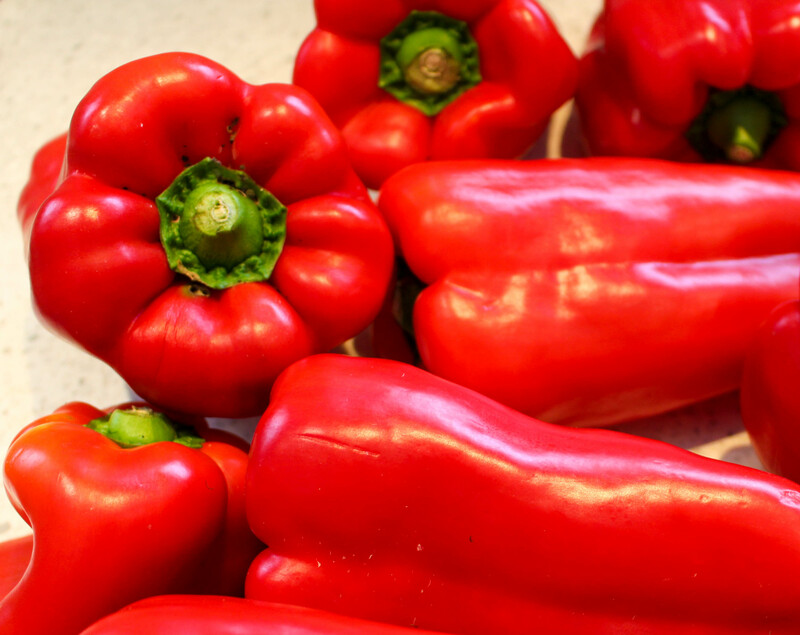 The aim is to taste the red peppers so try not to over-do it on the seasoning. Serve with some crumbled Feta and chopped with dill or with pesto and fresh goats’ cheese.